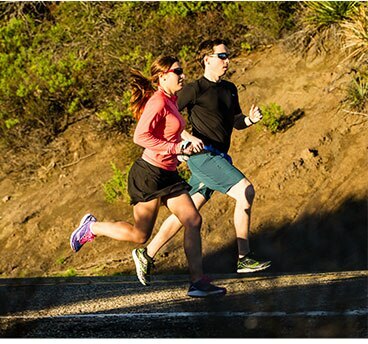 Manufacturers of traditional, motion-control shoes claim stabilization and cushioning technologies solve contemporary running problems such as asphalt and overpronation. Minimalist-shoe manufacturers and barefoot proponents claim the same problems can be better solved by putting less shoe between the runner and the ground, facilitating a more natural stride. Mostrunners find a solution somewhere in between. In 2009, Chris McDougall&apos;s Born to Run: A Hidden Tribe, Superathletes, and the Greatest Race the World Has Never Seen brought the minimalist running movement to critical mass, arguing that for the last 30+ years, most of us (and most of our shoes) have been running the wrong way. From the 1970s until recently, running shoe manufacturers have generally focused on cushioning and motion-control technologies as solutions to contemporary running problems such as paved surfaces and overpronation. But in Born to Run, McDougall points to the Tarahumara tribe in Copper Canyon, Mexico as an example of proper running (and cultural) form. If the Tarahumara regularly compete in 100+ mile races well into old age wearing only homemade huarache sandals, what are we doing with teched-out motion-control shoes and so many running-related injuries? Hence the minimalist running position: running with less on your feet has to be better. In fact, calling motion-control shoes &apos;traditional&apos; is a misnomer-given 1.8 million years of human history, traditional running would be barefoot. Today, more and more runners are turning to minimalist shoes or barefoot running as regular training tools, with a growing number of minimalists running in zero-drop (or just plain zero) shoes full time. 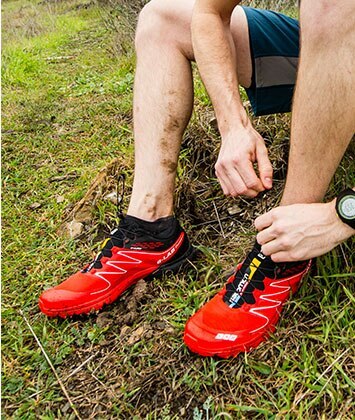 More and more trail runners claim that minimalist shoes are the best choice for trail surfaces, and likewise, a large contingent of road-runners claims that minimalist shoes are the key to life-long running. Barefoot enthusiasts cite the careers of athletes like Abebe Bikila, who won the 1960 Olympic Marathon barefoot and in world-record time, and Zola Budd, who won the 1985 and 1986 IAAF World Cross Country Championships barefoot. Detractors point to Budd&apos;s practice of wearing shoes to train on pavement, and Bikila&apos;s switch back to shoes in his 1964 Olympic Marathon world-record win. Dialogue between minimalist runners and proponents of traditional shoes can be pretty shrill, even political. In terms of reasons to ditch motion-control shoes, minimalists cite everything from the rise of motion-control shoes&apos; failure to reduce running injuries to 1,800,000 years of evolutionary history and barefoot &apos;persistence hunting.&apos; But many runners continue to choose motion-control shoes as a solution to overpronation and hard surfaces, often at the advice of health professionals and retail clerks (some armed with in-store treadmills and stride-analyzing stop-motion cameras). Minimalist proponents claim a zero-drop heel, minimal design, and roomier toebox (or articulated toes) deliver a more correct, forefoot-first stride than motion-control shoes. A forefoot-first stride with a wider toe splay is biomechanically more natural than the heel-first stride of many modern runners and, in theory, minimizes repetitive-motion injuries by varying footfall. Biomechanics aside, a minimalist shoe puts less weight on a runner&apos;s foot. The less weight on the foot, the less energy the runner must expend, and the faster, longer, and/or more comfortably that runner will run. Accordingly, a shoe with minimal cushioning delivers more feedback from the ground to the runner, making for a heightened awareness of what&apos;s underfoot. This awareness is what some runners describe as &apos;feel,&apos; though the term means different things to different runners. A minimalist shoe also typically offers a wider and thus more stable running platform than a built-up motion-control shoe. 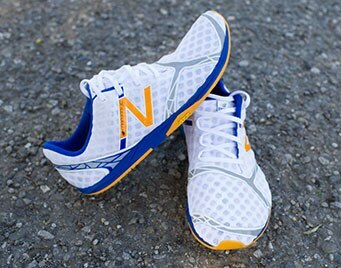 Minimalist shoes demand strength and flexibility in a forefoot-first stride. Cons in switching to minimalist shoes center mostly on the risk of injury in making that switch too quickly, without building up the muscles in the foot, ankle, quads, and core. Minimalist shoes are not &apos;barefoot&apos; shoes. Though zero-drop heels promote a forefoot-first stride, minimalist shoes still dampen sensory feedback to the foot to some degree. This dampening effect coupled with a lack of motion-control support could for some runners increase the chance of injury. Recent research demonstrates an increased risk of bone marrow edema, the accumulation of fluid in the bones (similar to bruising), in minimalist runners. But this is only one study, published just a week before this article was written—in general, comprehensive, peer-reviewed scientific research on the effects of running in minimalist shoes has yet to be done. Whoever wants to. But plan on putting in some extra training time-minimalist shoes require a forefoot-first stride that most runners don&apos;t currently have. A forefoot-first stride necessitates strength and flexibility which can take some serious training hours to build. Chris McDougall and other barefooters would tell you it&apos;s worth it. Your podiatrist would tell you to be careful. Most runners making the switch find that at first they must reduce their weekly mileages, gradually recouping as their running form improves. Proponents recommend switching to minimalist shoes incrementally, avoiding steep ascents for the first few weeks, or even starting out on a shoe with a 4 to 8mm heel drop to ease the transition to zero-drop shoes or barefoot running. If you have flat feet or overpronate, there are plenty of valid arguments out there for avoiding minimalist shoes. But there are just as many claiming that minimalist shoes are the key to solving overpronation. Likewise, there are experts who argue you should start out barefoot or in minimalist shoes, and there are experts who claim you shouldn&apos;t. Of course, if in making the switch you feel persistent pain or discomfort, consult with your healthcare professional immediately. Either way, a runner getting into minimalist shoes is going to need strength, flexibility, and a forefoot-first stride, which likely will take some training time. Building the strength and flexibility necessary for making the switch can be achieved with exercises like calf raises, hill work, towel scrunches, and tennis-ball foot massages. McDougall&apos;s &apos;100 Ups&apos; technique helps transitioning runners build effective running form-see McDougall&apos;s article "The Once and Future Run" in The New York Times Magazine for detailed explanation and easy-to-follow video demonstration. The most significant argument in favor of running in traditional, motion-control shoes is that most of us have been doing just that, relatively injury free, for a very long time now-so why change? And for overpronators or runners with leg-length discrepancies, traditional shoes can represent a solution to personal biomechanical issues. More and more people (at least since humans quit chasing antelope on the savannah for a living) are running regularly, and many of them are running in traditional shoes. Traditional, motion-control shoes are designed to cushion runners&apos; feet on asphalt and other paved surfaces, which they do. For runners unable to maintain a forefoot-first stride, this design helps to absorb the potentially harmful impact of heel strike. Even with 30+ years of technological advancement in motion-control shoes, roughly the same percentage of people gets hurt running each year. As previously mentioned, traditional, motion-control shoes cushion runners&apos; feet on asphalt and other paved surfaces. But research shows that most runners in shoes with 8mm+ heel drops tend to run with heel-first strides. Heel-first strides have been shown to significantly intensify heel strike and vertical loading on the feet and joints. Proponents of minimalist running argue that increased vertical loading is a significant factor in running injuries, negating any benefits from extra cushioning or motion control. Traditional shoes also fix the heel in place, which on uniformly flat surfaces like pavement and treadmills may lead to the sorts of repetitive motions that cause injuries. Common wisdom states that a runner runs best in a shoe that fits-variables in personal stride, foot shape, and biomechanics run such a wide range that probably the best advice for any runner is to run in shoes that fit well, and avoid those that don&apos;t.
Overpronators or runners with flat feet might want to consult a health professional about options for traditional running shoes. But in most situations, motion-control shoes are most effective when they supplement strong running form. Running with a heel-first stride increases the impact of heel strike, which in the long-term can lead to injury or joint pain. Motion-control shoes are designed to alleviate heel-strike impact, but can also lead to poor running form and further pain or injury. Minimalist shoes promote a forefoot-first stride which lessens the impact of the heel strike. But minimalist shoes offer virtually no cushioning, and without strong forefoot-first running form can lead to serious injury and discomfort. As a general rule: if you&apos;re going minimalist, you&apos;re going to need a forefoot-first stride. Manufacturers of traditional, motion-control shoes claim stabilization and cushioning technologies solve contemporary running problems such as asphalt and overpronation. Minimalist-shoe manufacturers and barefoot proponents claim the same problems can be better solved by putting less shoe between the runner and the ground, facilitating a more natural stride. Most runners find a solution somewhere between the polemics of the minimalist vs. traditional shoe debate, periodically training barefoot or in minimalist shoes to supplement their regular running regime or using zero-drop shoes on 5 and 10k races but more supportive shoes for longer races on hard surfaces. At the end of the day, avoiding injuries and achieving the best performance is a function of training and good running technique.